Wow, so this book sounds like it's going to be a super emotional read. But... it's Gayle Forman, so you know it's going to be great. I've already pre-ordered my copy. I can't wait to check it out! Nice pick! Not really my kind of read but still hope you absolutely love it! Wow- I will need a box of tissues for this one. Gayle Forman always knows how to make me cry. Great pick! I just... can't even. 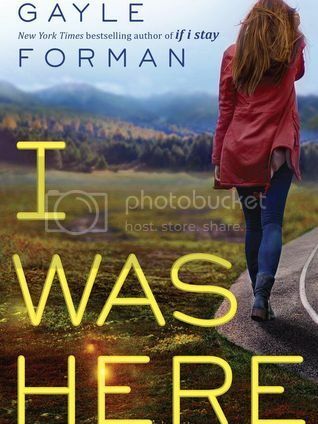 I love Gayle Forman so I can't wait! Thanks for sharing, I hadn't heard of this one yet!! This sounds so emotional! Definitely my kind of read :) Thanks for sharing and enjoy! Such a great cover and I love Gayle Forman so im excited to read it :) Great pick!